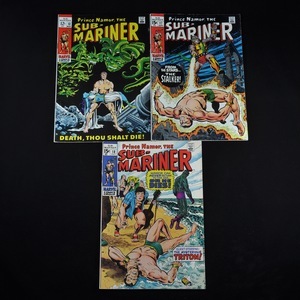 Collection of The Sub-Mariner comic books (Marvel, 1968-1974). One of the oldest superheroes, Namor the Sub-Mariner first appeared in Marvel Comics #1 in 1939. 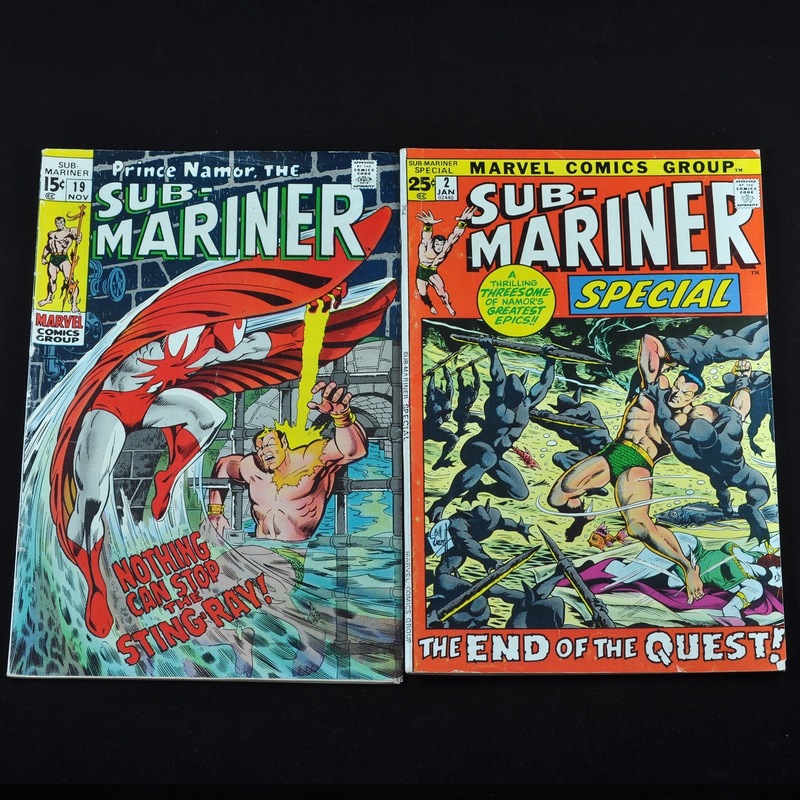 The Sub-Mariner was given his own comic series, which ran in the 1940s and in the 1950s, but it was eventually canceled in 1955. 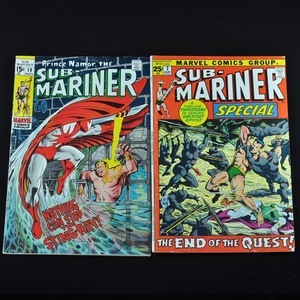 A new series of Sub-Mariner comic books debuted in 1968. 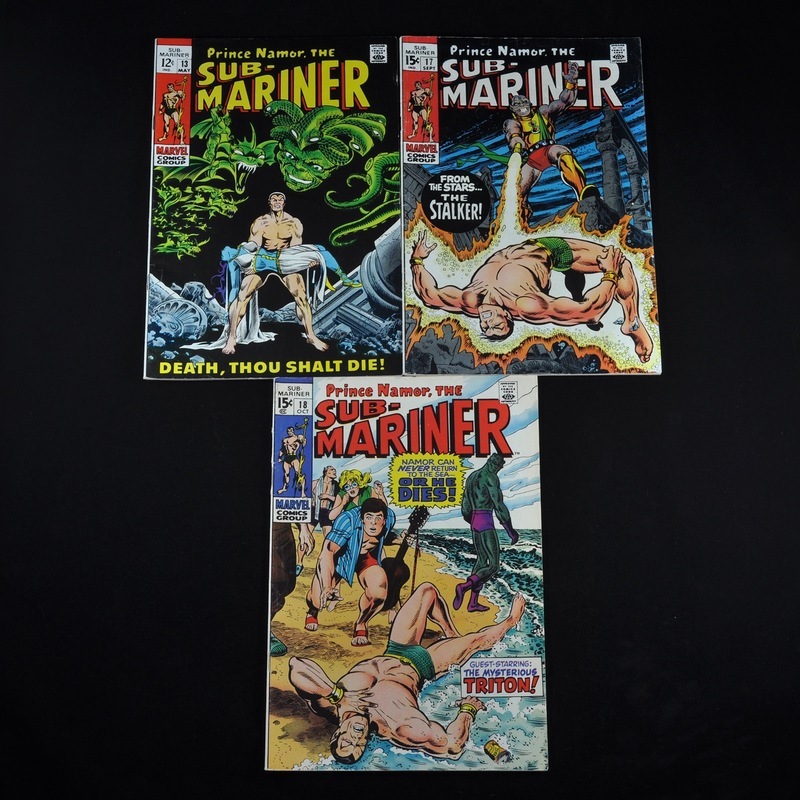 This collection is comprised of five Sub-Mariner comics dating from 1969 and from 1972 including: #13, #17, #18, #19, and #2 Sub-Mariner Special issue. Dimensions: each book is approximately 10 1/4"h x 6 3/4"w. Processing and shipping within the continental U.S. $25.00 plus 1.5% replacement cost insurance. Specific number grades have not been officially assigned to the comics, please refer to the CGC scale as a guide. In general the comic books are in good to fine condition, ranging from about a 3.0 to a 6.0 on the typical comic book grading scale.